The other day out of the morning gloom came a Cockerel, walking down the drive and past the house. 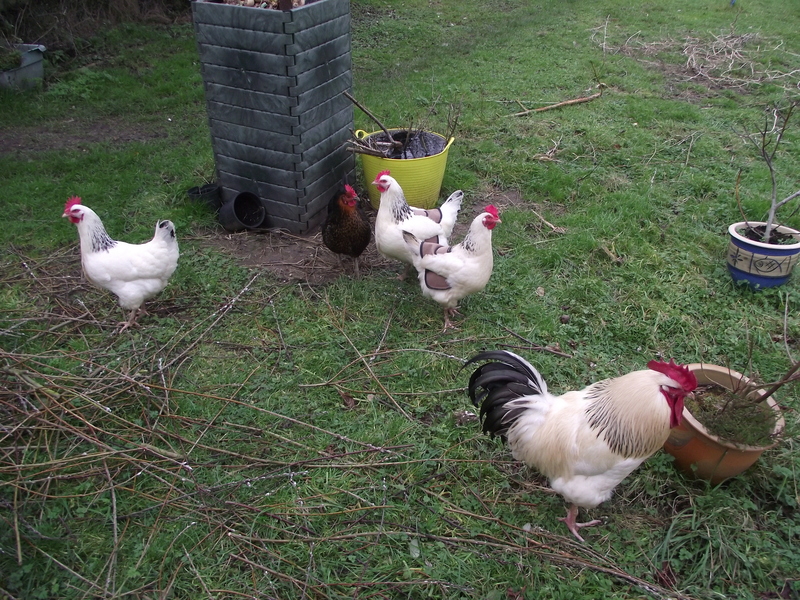 I hadn’t let out the chooks by that time so I made sure they were locked behind their electric fence in their zone. This new Cockerel was very noisy and clearly wanted to give our Cockerel a fight for the girls. Also he may carry pests and disease. He has stayed around for 3 days now – he is sitting on the fence staring in at me writing this. He roosts high in the Horse Chestnut tree at the corner of the yard. I’ve tried catching him and he was quite defensive (and very evasive). I’ve tried feeding him – but he does not seem to recognise/want grain or pellets – although a few chips I threw him went down very quickly. He has deformed feet – all twisted. However he seems to function with them – walking, running and climbing – and they don’t seem to be causing any sores or other issues. 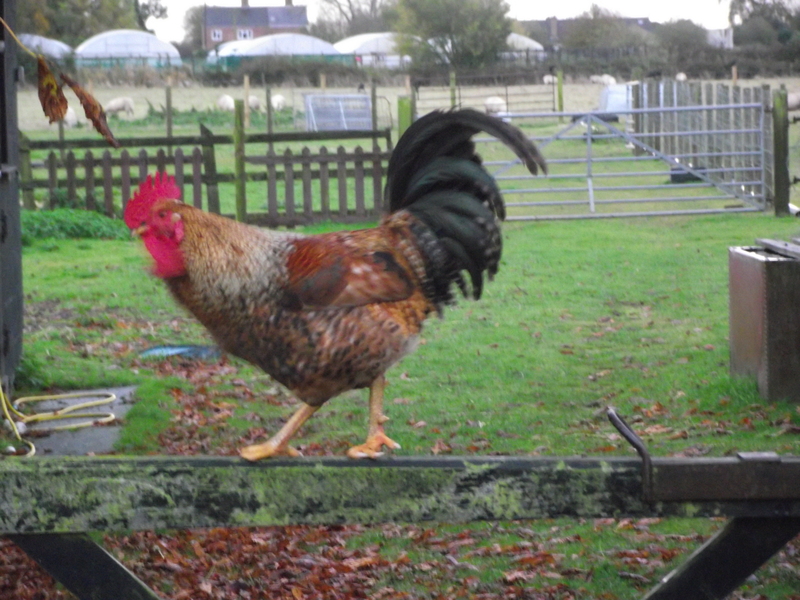 This is our existing Cockerel – a White Sussex. As you can see the new Cockerel is a very different breed – although not sure which yet. I have asked the near neighbours who keep chickens and they haven’t lost any, so I am at a lost of what to do with him. We can’t keep him – one Cockerel is all you need. He doesn’t seem to eat normal feed – and perhaps a fox or the winter will kill him if left outside. He is preening himself now, and enjoying the sunshine – but it will get cold and wet.